New 2019 Chrysler Pacifica Touring L. The color is Granite Crystal Metallic with Black/Alloy Interior. It is equipped with a 9" Overhead DVD, Uconnect 8.4" Display, 18" Tire and Wheel Group, Navigation, Heated Leather, Heated Steering Wheel, Power Sliding Doors, and Remote Start. 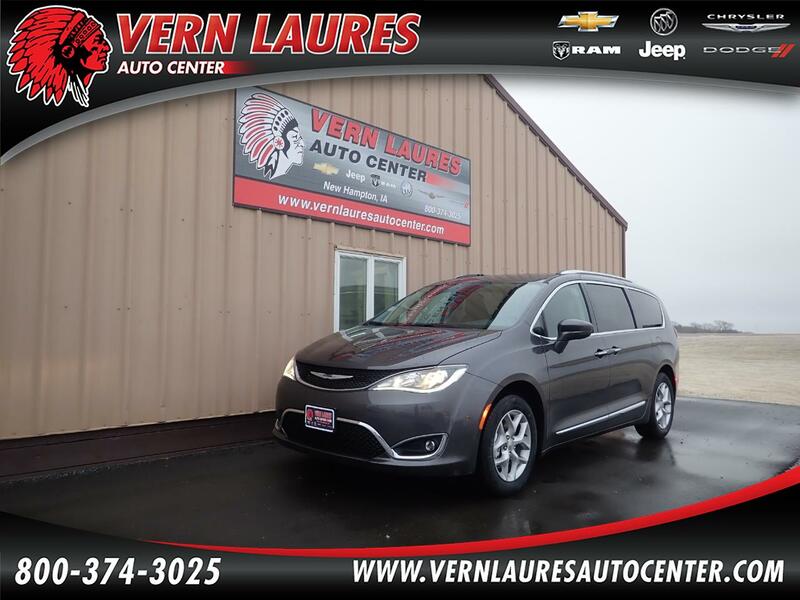 Stop in and take this loaded up Pacifica for a drive!